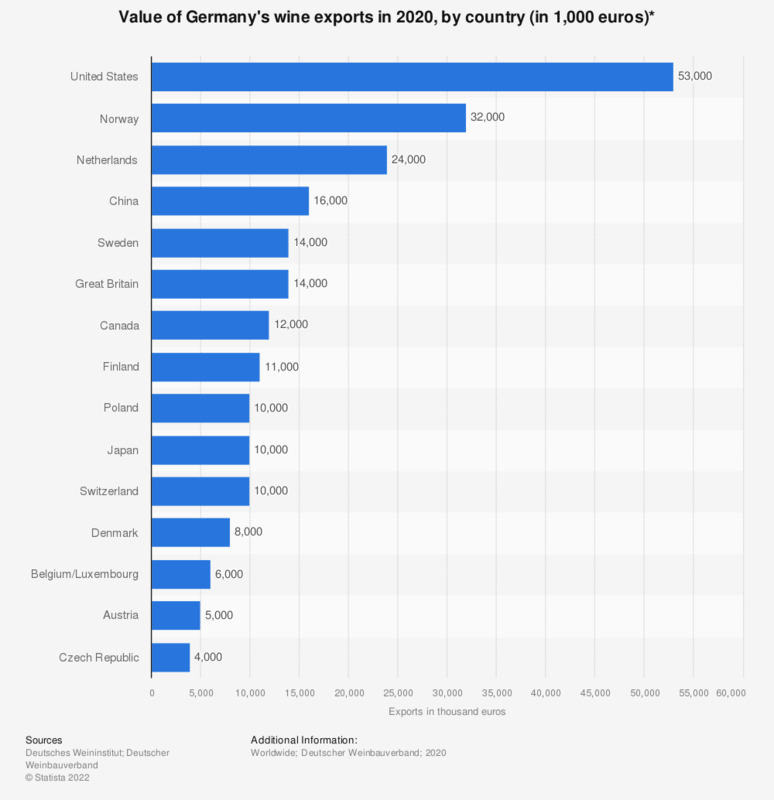 This statistic depicts the value of Germany's wine exports in 2017, by country. Germany's wine exports to the United States had a value of about 79 million euros in 2017. The total value of Germany's wine exports amounted to about 308 million euros that year. * Net exports, excludes re-exported wines.